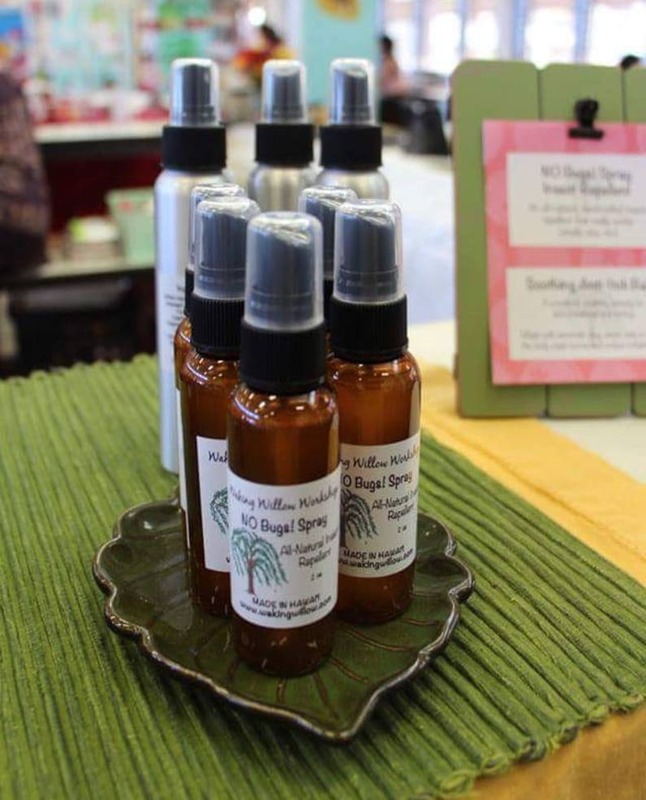 An all-natural handcrafted bug repellent that actually works (and smells nice, too). Ingredients: Distilled Witch Hazel*, Distilled Water, Vegetable Glycerin, Pure Vanilla Extract, 100% Pure Essential Oils of Geranium (Pelargonium graveolens), Rosemary (Rosmarinus officinalis), Peppermint (Mentha piperita), Citronella (Cymbopogon winterianus), Eucalyptus (Eucalyptus globulus), Cedarwood (Cedrus deodora), Lemongrass (Cymbopogon flexuosus), Lavender (Lavandula angustifolia), May Chang (Litsea cubeba), Tea Tree (Melaleuca alternifolia), Patchouli (Pogostemom cablin), and Catnip (Nepeta cataria). Available in 2 oz. and 4 oz. spray bottles.